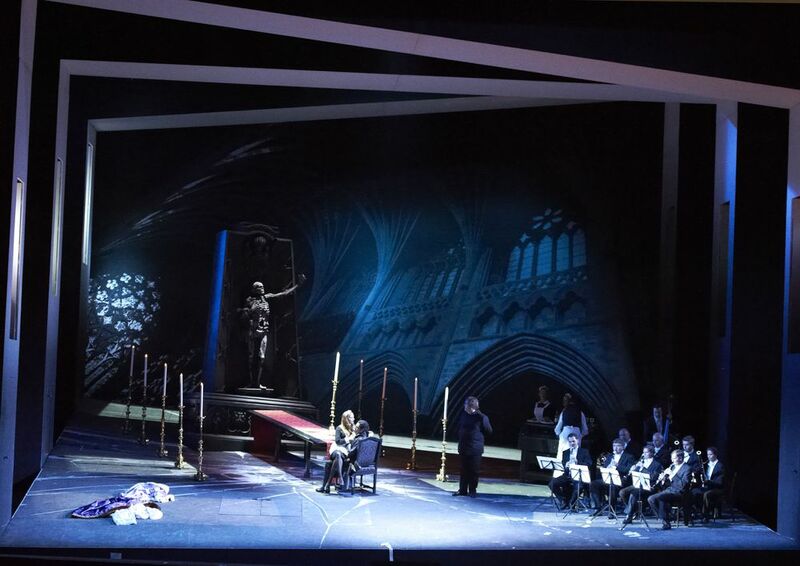 It may be difficult to see the action on stage, but at least the music sounds glorious, with Vienna State Opera presenting a Don Giovanni blessed with uniformly strong vocals and the finest orchestral playing. Conductor Sascha Goetzel presides over a splendid performance from the Vienna State Opera Orchestra, delivering an abundance of intricate details in the very well known score. Director Jean-Louis Martinoty’s 2010 production updates the action to the 1950s, yet still retains a somewhat traditional European-flavoured approach. 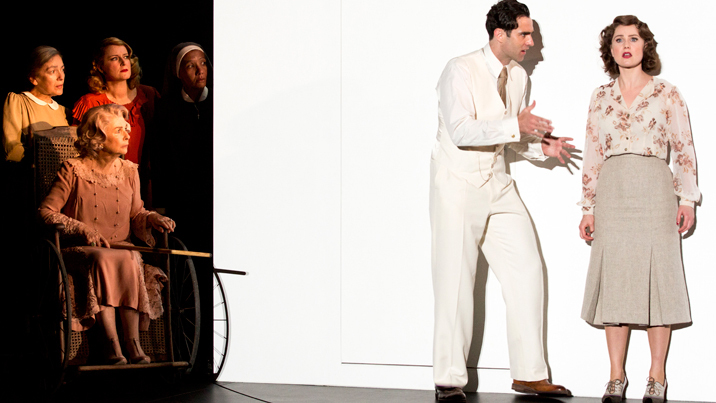 Martinoty provides a number of supporting characters from the company, such as the blind musician who happens by and plays the mandolin when Don Giovanni sings “Deh vieni alla finestra.” Character arcs depend on the audience’s exciting knowledge of the opera, with little or no additional character development provided. Rapid delivery of recitative helps to engage and maintain audience attention throughout the dialogue scenes. Visually, Hans Schavernoch’s scenic design creates an exciting, edgy feel, with multiple photo-quality backdrops showing buildings at sharp angles. This corresponds to the precariously raked stage and the overhead angle of the proscenium arch, which is reminiscent of an ominous guillotine blade. 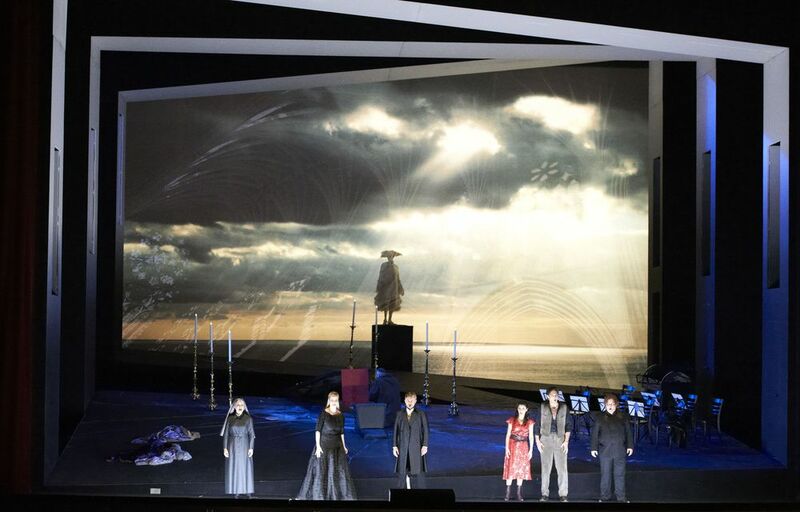 In an odd choice for a modern production, the front black curtain comes down between most scenes; this may provide more impact to the spectacular backdrop images, but it also unnecessarily interrupts the opera’s flow. The climax includes a slight alteration, in that instead of the Commendatore’s statue coming to life, the crypt opens and he comes forth as one of the walking dead. The gaping pits of fiery hell look very effective, and Don Giovanni’s slide down the table into hell brings a dramatic end for the character. Costume design by Yan Tax keeps many traditional period silhouettes, with a notable exception being the flimsy red dress worn by Zerlina after change out of her wedding gown. Curiously, Massetto dresses for his wedding like John Travolta even though Saturday Night Fever has not been released at this point in history. Ensemble costumes at the impromptu wedding reception at the Don Giovanni’s palace are particularly spectacular, highlighting the difference between society types and simple country folk. 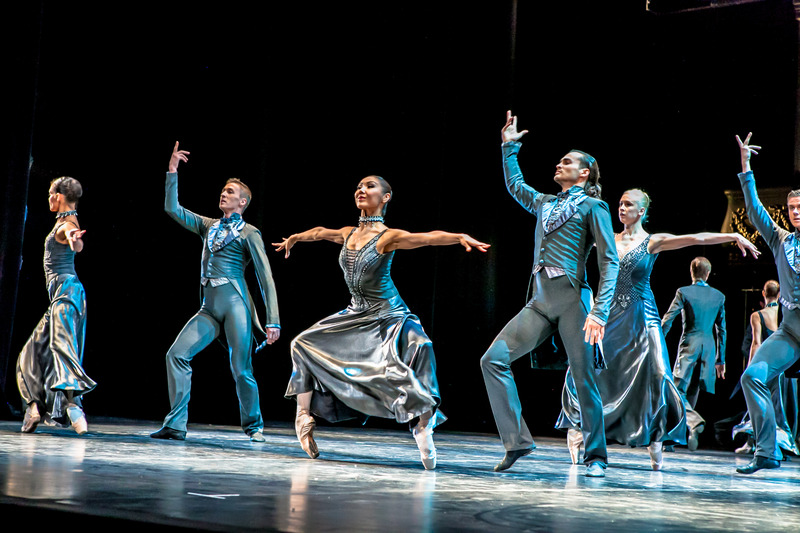 As impressive as many elements of the scenic and costume design may be, they are all very difficult to see in the deliberately dim states used by lighting designer Fabrice Kebour. The darkness may help to explain some of the misunderstandings in the story, but the difficulty in seeing faces becomes tedious to the point of being completely annoying. 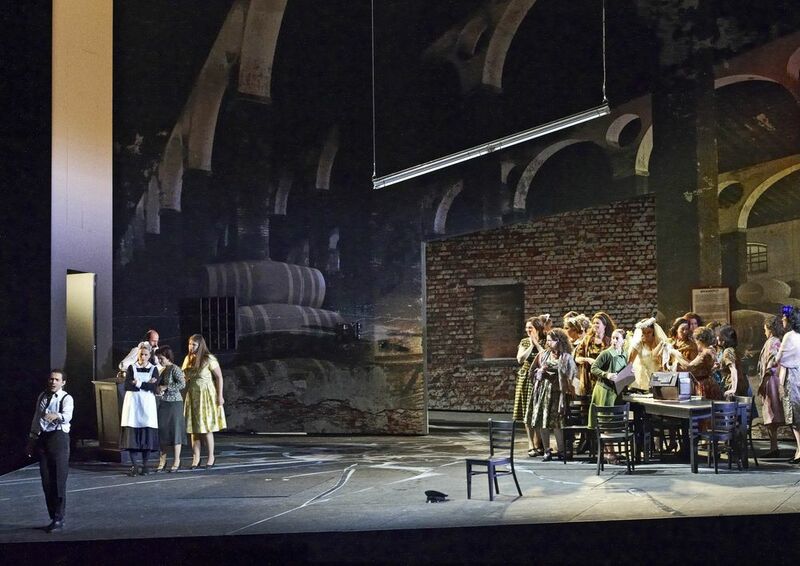 In the title role, Ludovic Tézier leads a highly capable cast of singers. Ensemble sequences such as the sextet “Sola, sola in bio loca” sound superb. A wonderfully rich, unblemished baritone pours effortlessly forth from Tézier, bringing a warmth that almost makes the rogue likeable. In excellent voice, Italian bass Luca Pisaroni cuts a fine figure as Leporello, playing the role quite straight, rather than as any sort of buffoon. 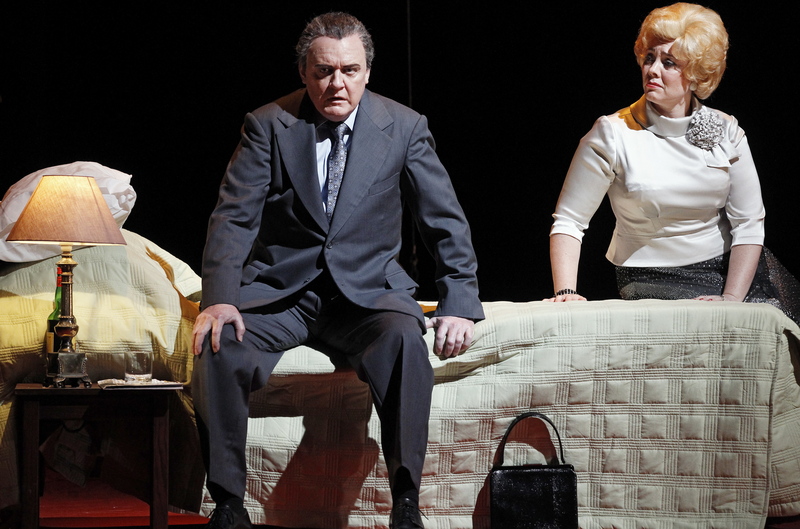 A standout among the female characters is Russia soprano Ekaterina Siurina as Donna Anna. In glorious voice all evening, Siurina’s exquisite rendition of Donna Anna’ final aria “Non mi dir” is a clear musical highlight of the opera. Chinese tenor Jinxu Xiahou brings a luxurious tone to Don Ottavio. Xiahou’s singing of Don Ottavio’s act one aria “Dalla sua pace” has a tender, prayer-like quality that is a pleasure to hear. 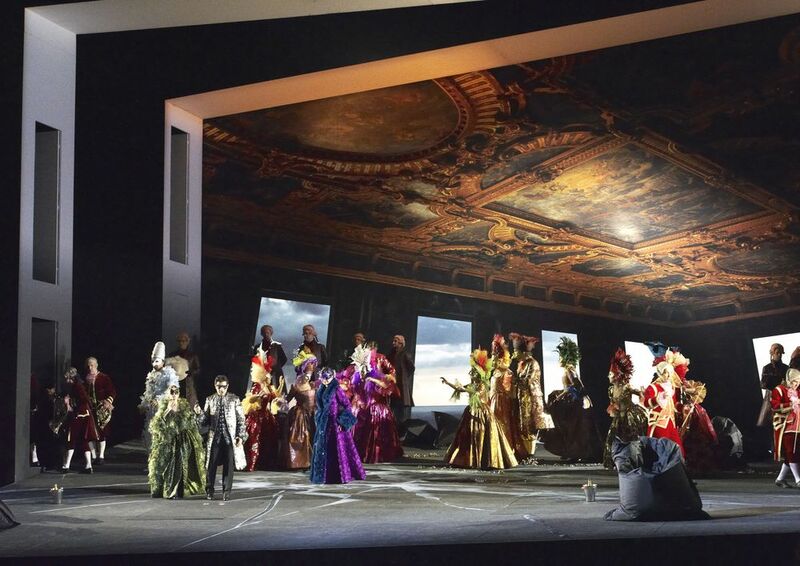 Ultimately, the quality of the music surpasses the disappointment with elements of this production Don Giovanni. 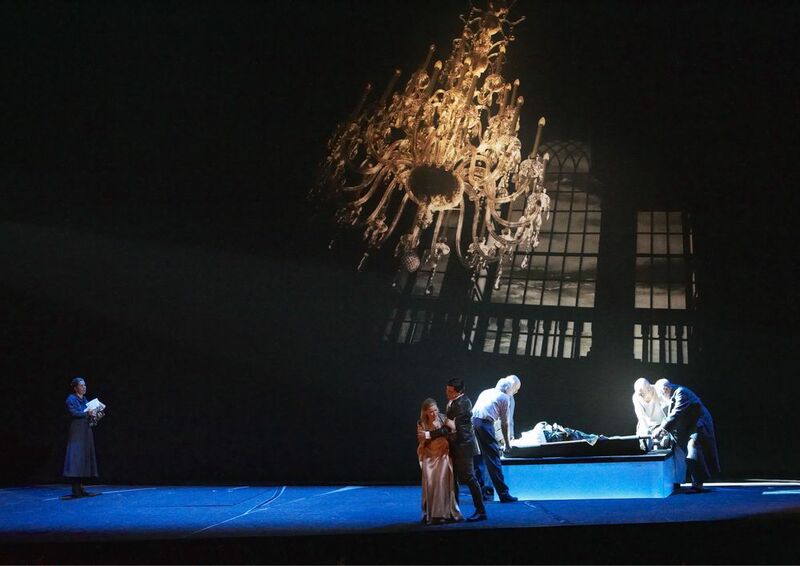 Don Giovanni was reviewed 6pm Sunday 14 January 2018 at Wiener Staatsoper, where it plays again this season on 17 January and 20 January 2018. The performance on 20 January 2018 will be available for viewing as a (paid) livestream.